Dennis is a Justice within Glasgow and Strathkelvin Sheriffdom. He has sat in the Glasgow Court since April 2010. He worked for SSEB/Scottish Power for over 30 years before taking early retirement. He was involved in procurement, specialising in IT and Communication contracts. 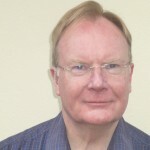 He has a BA degree from Lancaster University and was a member of the Chartered Institute of Purchasing and Supply.